For bookish 12-year-old Nelly, life has always been about studying, but when she learns that her school basketball team is going to Luxemburg to compete and will meet the Prince, she defies every rule of adolescent engagement to fling aside her geeky image and jump on the court. She gets ballplayer Max Minsky to teach her some skills in exchange for help with his schoolwork, and an unlikely friendship takes root, Meanwhile, all her parents want her to do is prepare for her bat mitzvah. Imagine you have a deep passion for science and outer space, which consumes your very soul. However, numbers and stars are not the only thing that makes you jump for joy. You also, like everyone else in the school, have a deep, kind of crazy, obsession for the dreamy teen-royal. One day, it is announced that this year's basketball team will have a shot to play in Luxembourg and even meet the this teen royal! A dream come true! But how do you get on the basketball team when a.) you don't know how to play and b.) your mom is pressuring you to have a Bat Mitzvah and go to Hebrew school when you don't even believe in God? Coming of Age Genre: focus on the psychological and moral growth or transition of a protagonist from youth to adulthood. Personal growth and change is an important characteristic of this genre, which relies on dialogue and emotional responses, rather than action. Jump Cut: An editing technique, a disruption in the continuity of a single shot by dropping frame/s. POV Shot: A shot taken with the camera placed approximately where the character’s eyes would be, illustrating how the scene looks from the character's perspective. Film Adaptation: is the transfer of a written work, in whole or in part, to a feature film. Bat Mitzvah: A Bat Mitzvah is a coming of age ceremony for Jewish girls – when girls become adults. It is the female version of the Bar Mitzvah for boys. Girls have this ceremony when they are 13. 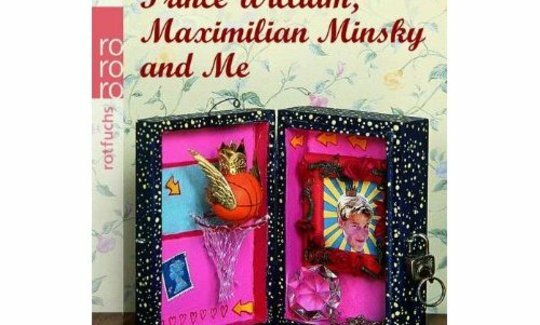 This film is an adaptation of the book “Prince William, Maximilian Minsky and Me” by Holly-Jane Rahlens. Holly-Jane Rahlens was born in New York City and moved to Germany after college. She has been there ever since, writing, acting and producing. Raised in New York, Holly-Jane Rahlens studied Literature and Theater at the City University of New York. During the 80s and 90s she worked in Berlin, writing for radio and television (Prix Europa for her radio play "Daily Soap“), as well as writing a regular column and acting as an presenter at the Berlin International Film Festival. She has acted in her own one woman shows and appeared in various television and feature films under the direction of such people as Ken Loach, Kevin Spacey, Wim Wenders and Carl Schenkel. She also starred in the television adaptation (for the then Berlin TV channel SFB) of her own stage monologue "One Fine Day“ (GRIPS-Theater). 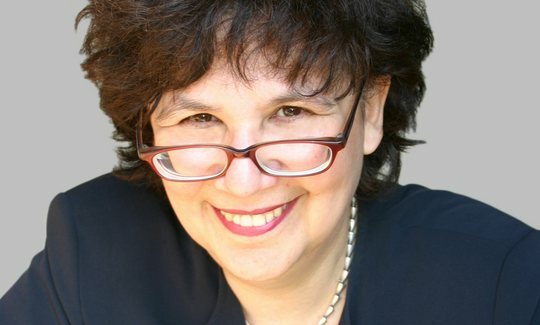 Her novels "Becky Bernstein Goes Berlin“ (1996) and "Mazel Tov in Las Vegas“ (1998) introduced the "trained Berliner from Brooklyn” (FAZ daily newspaper) to the mainstream German audience. 2002 saw the release of her youth bestseller "Prince William, Maximillian Minsky and I“. The highly acclaimed novel (winner of the German Young Adult Literature Award and the award of the German Audio Critics for the audiobook read by the author herself) has been translated into seven languages. In 2005 her second youth novel "How to Really Kiss“ was published. She is currently working on the screenplay. 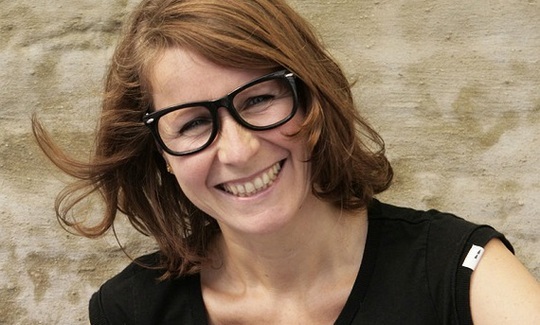 Holly-Jane Rahlens has already written dialogue for films by directors such as Wim Wenders, Maria Schrader, Veit Helmer, Eric Till, Mark Schlichter, and Hannu Salonen. Anna Justice was born in Münster/Germany. While training to be a translator she travelled throughout the USA, spending five years there. It was in the movie capital Los Angeles that she decided to enter the film business. She studied directing at the German Film and Television Academy in Berlin (dffb) where she shot her first shorts ("Lupino Brothers“, "Meryems Arbeit“ and "Tanz in Pankow“). She also attended screenplay seminars at the University of Southern California with Frank Daniel and at the dffb with Don Bohlinger. AnnaJustice's television movies include "Der Sommer mit Boiler“, "Noch einmal lieben“, "Ich liebe das Leben“ and Tut mir Leid wegen gestern“ for which she won a Golden Lion Directors' Endowment Award. Her film "Ich liebe das Leben“ was nominated for the Adolf Grimme Award in 2006. Anna Justice lives with her husband and two children near Berlin. Director Anna Justice changed the original "Prince William" heart-throb in the book, to a make-believe prince in Luxembourg since the real Prince William was getting older. In the book, Nelly made the basketball team. Auditioned girls who could potentially dribble a basketball AND was self-confident and show emotion. For "Max", they had to pick someone who was already pretty good at basketball since there wasn't enough time to train him. Emil was picked and sent to "Alba Berlin" to perfect his skills with the youth team. Lucy, the mother, was originally supposed to be casted as an American actress who could speak German. However, they decided to instead bring on Adriana Altaras. They hired a dialogue coach to practice an American accent. The shoot was shot on location in Berlin, with a budget of 2.6 million Euros. 37 days of shooting, which is a tight schedule for a children's film. Many of the scenes had to be filmed with doubles because the actors under 16 years were not allowed on set for more than five hours per day. What film techniques are used to show that the story is being told from Nelly's point of view? How is the editing used to influence our emotions? How does Nelly’s Bat Mitzvah fit into the other events happening in Nelly’s life? *Pick a question from above or below and discuss with the person next to you or in front/behind your. What was your favorite scene in the film? Why? What is a jump cut? When do you see it being used in the film? Why do you think that Nelly has her Bat Mitzvah if she does not believe in God? What did you like and dislike about this film? How do we know right away that this film will be told from Nelly’s point of view? What is the relationship like between the Nelly and her parents at first? Give some examples of how Nelly’s relationship with her parents changes. How is the use of jump cuts and editing used in this film? What are some ways the director shows us that Nelly is becoming more of an adult? How do we enter Nelly’s world? Give some examples. How are Max and Nelly different? How are they a like? The movie Max Minsky and Me was a quite interesting movie about a nerdy girl named Nelly who decides to step out of her comfort zone and join the basketball team, since the Luxemburg Prince (who Nelly has a crush on) will be hosting the game. Since she doesn't know how to play basketball, she finds a basketball player who goes to her school named Max Minsky to teach her basketball, in exchange for his schoolwork being done. The movie is often shown by her point of view, which shows what is going on her mind. For example, at the start of the movie, there is a scene where Nelly stares at her ceiling, and the ceiling turns into the night sky, with a constellation in the shape of the Luxemburg Prince's face. I also noticed that the relationship between Nelly and her mom changed dramatically throughout the film, and a new relationship is formed between Nelly and Max Minsky. At the start of the movie, all that Nelly's mom wanted to talk about was her bat mitzvah, and Nelly hated her for that. But, in the middle, when Nelly's mom finds out that Nelly has been expelled from Hebrew, she gives up on trying to organize a bat mitzvah. And at the end, Nelly decided that she wanted to make her mom proud and prepare for her bat mitzvah anyway. At the start of the movie, Max wanted nothing to do with Nelly. He was only doing it so that he could have his homework done. But, the audience discovers that towards the end, they were there for each other, and Nelly managed to convince Max's mom that he didn't need to go to boarding school. Thomas, Your observation on HOW the film is shown from Nelly's perspective is very strong and clear. Also your notation on Nelly's changing relationship with her mother is great. Why do you think their was a change in their relationship? do you think it had anything to do with her father? For your next review, I would love to know if there were parts you felt connected to. If there were moments that stood out or impactful? Keep up the good work!